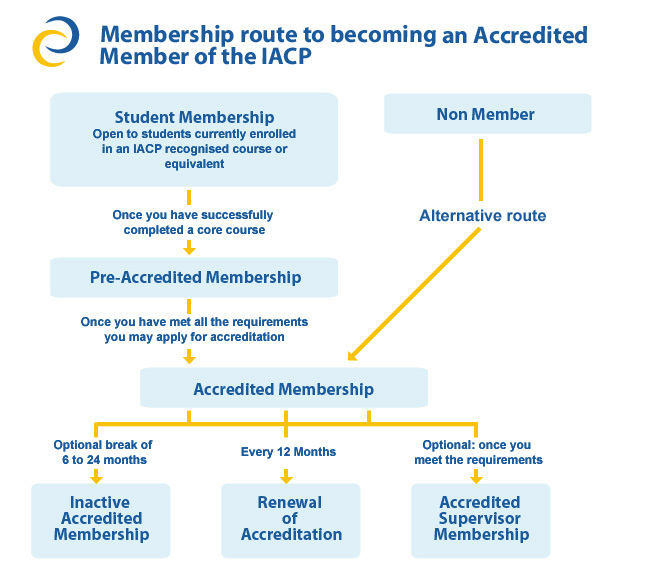 Pre-Accredited Membership is available to those who have successfully completed an IACP Accredited Course and who are actively working towards Accreditation. A Pre-Accredited Member may use the title Pre-Accredited Member IACP (exact phrase only) on documentation. They may not represent themselves as an Accredited Member and may not use the initials MIACP. Pre-Accredited Members are required to abide by the IACP Code of Ethics and Practice and are subject to the IACP Complaints Procedure. Please Note: IACP charge a reduced pro-rata fee during the year for Pre-accredited Membership, which will bring your membership cover up to 31st December. The normal membership rate applies for the following year. Please click on “Membership Rates” (on the left) to review these fees. NB: It is an IACP requirement that all Pre-Accredited Members must have current and valid IACP Garda Vetting. The cost for IACP Garda Vetting is €30.00 and this cost is included in the processing fee in the ‘Apply Now’ section on the right of this page. Vetting applications may take from 4 weeks up to 20 weeks. Waiting time depends on the level of demand in the National Vetting Bureau at the time of application. If an application is not complete, incorrectly completed or additional information is requiredthe processing time may be longer. Membership of this category does not guarantee IACP Accreditation. NB: As and from 31 August 2014 the eligibility for IACP Student and Pre-Accredited Membership will apply to applicants whom are currently attending, or have qualified from, IACP Accredited Courses only. 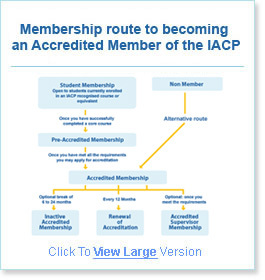 Pre-Accredited Members may use the title Pre-Accredited Member IACP (exact phrase only) in documentation. They may not use MIACP. Formal recognition of your qualifications and experience through our accreditation process. 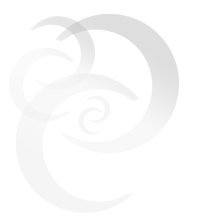 International Representation: The IACP represents members’ views internationally and continues to work with the BACP (with whom we have full reciprocity), the European Association for Counselling (EAC), the International Association for Counselling, Counselling in Scotland (COSACA) amongst others. International Recognition: IACP members are also automatically entitled to become European accredited (EAC) Counsellors by joining EAC. On receipt of email, please complete and return the application to Head Office.